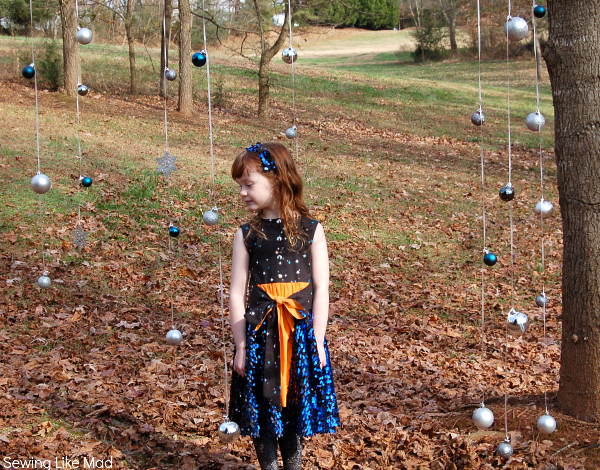 Sewing Like Mad: Christmas Dresses 2013. 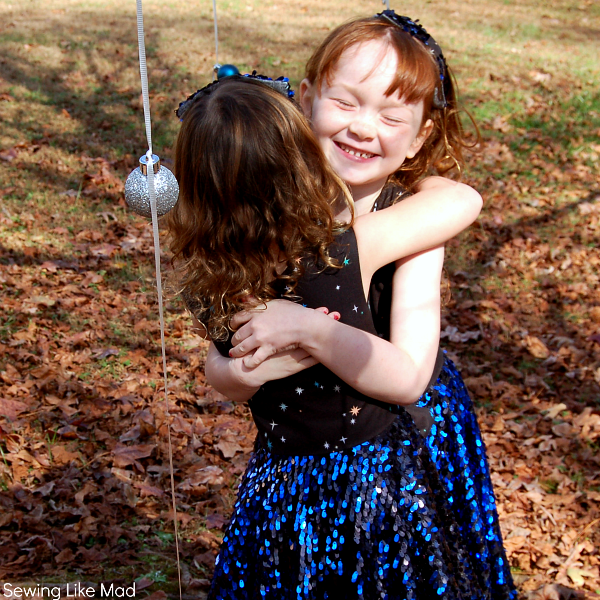 Since I have decided to take a small break from blogging the rest of December I have nothing new to share with you. 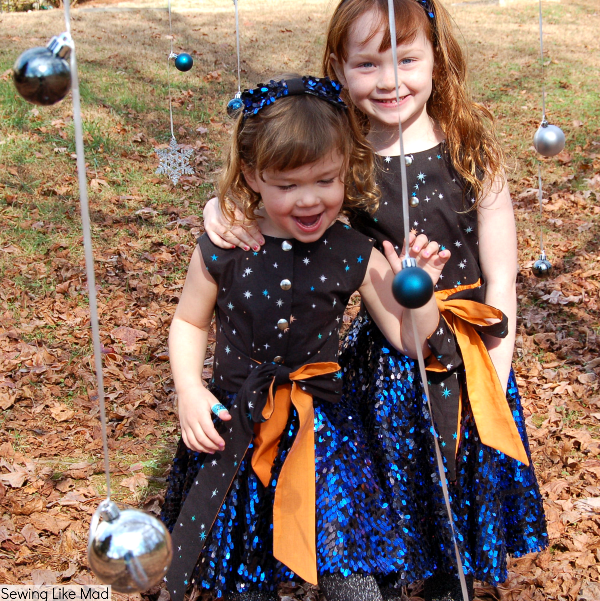 BUT I have this post of my girls' christmas dresses that was originally posted on Craftstorming as part of Laura and Suz's (Sew pony) The 12 Days of Christmas sewing series. If you missed the series I will highly recommend you going back to see all the posts. They are made by a group of unbelievable talented ladies and oh boy did they not disappoint. You can see all the creations in those posts and contain links to the actual posts in the series. 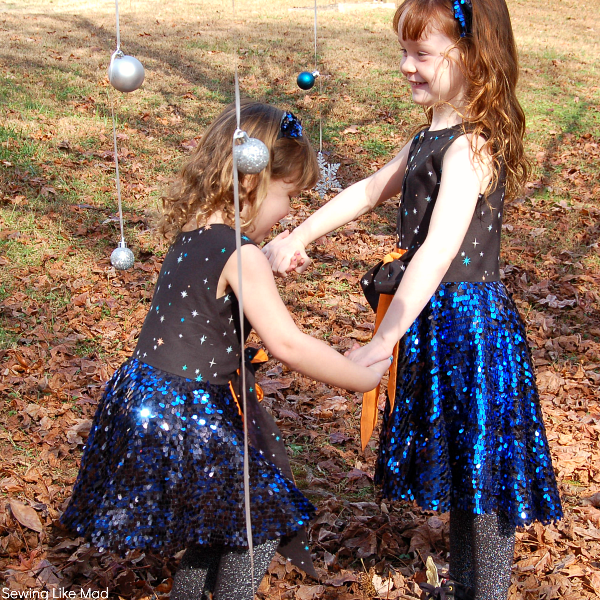 In Denmark, where I am from, we for sure dress up for Christmas but we don't have the tradition like they have here in US, where I live now, to buy or make special Christmas (or birthday or Easter or first day of school for that matter) dresses. Not long ago I was lucky to be invited to the Pattern Anthology Tour and I remixed Blank Slate Pattern's beautiful Amaryllis dress. You can see the post HERE. 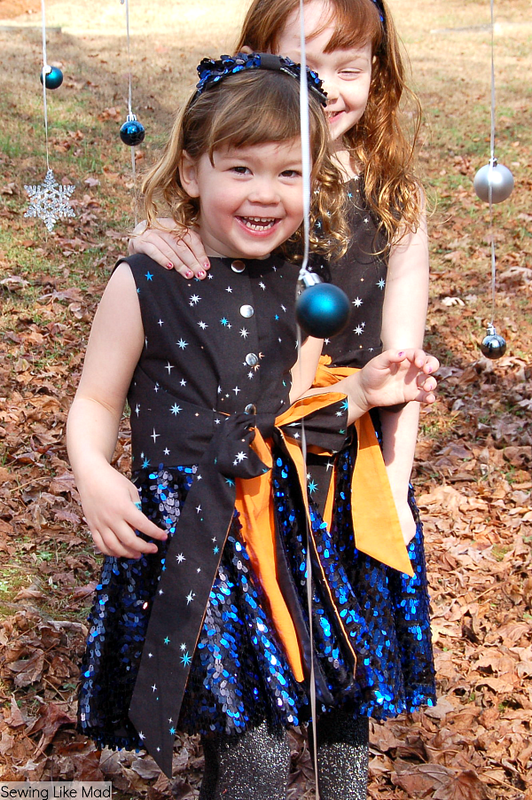 And that dress is smart in many ways (like fully reversible fx) but also not having any zippers....and that was exactly what I was looking for. 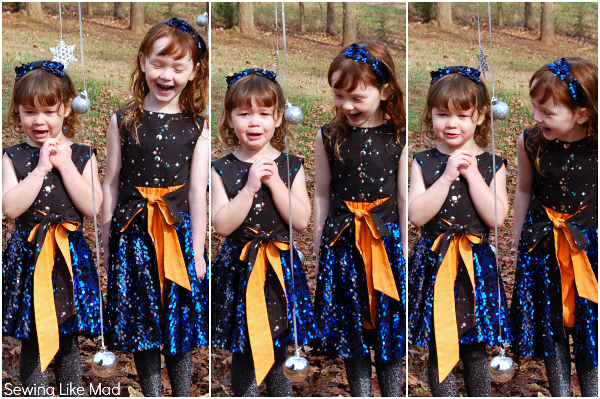 I did not feel like fiddling with a zipper in sequin fabric, nope definitely not feeling that! I decided to reuse some of my remix features - like the front button placket, the more closed up neckline, the non-pointy shoulders and a bit of high/low effect on the skirt. I put big silver snaps in the placket and I love the edge it gives to the dress. Yeah, what can I say.....KIDS!!!! 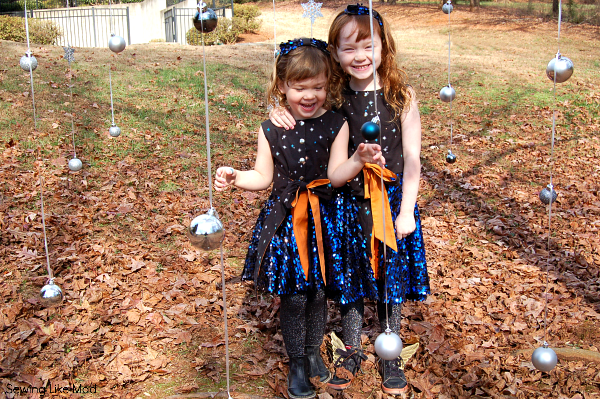 Those are some super fun Christmas Dresses! Lovely job and Merry Christmas to you as well! 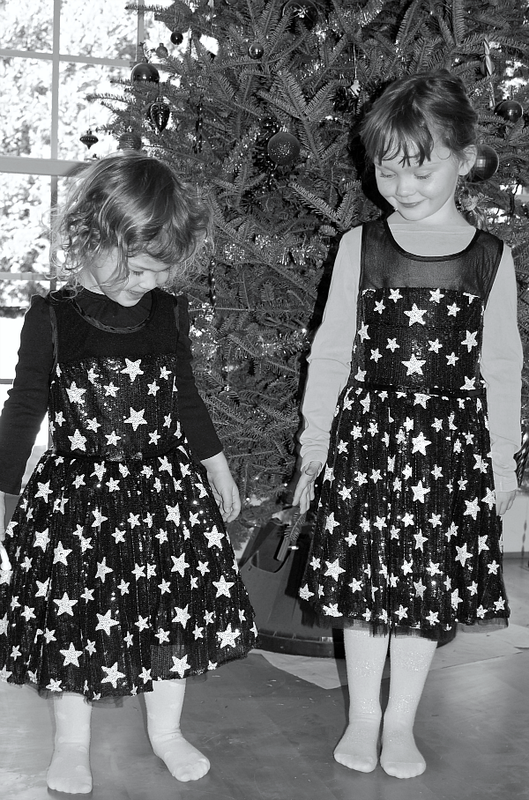 Beautiful girls and beautiful dresses.. Merry Christmas. I cannot sew... will you be selling these at any point?